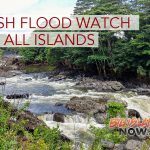 As Tropical Storm Olivia heads closer to the islands, the Hawaiian Electric Companies is activating its emergency response plans, going through pre-storm checklists and readying crews to respond. The companies are closely monitoring TS Olivia, which has potential to cause major damage. Forecasts show that the islands will experience wind and heavy rain as early as tomorrow. Hawaiian Electric, Maui Electric and Hawaiʻi Electric Light are closely monitoringHurricane Olivia and are making emergency preparations as the storm approaches the companies’ five-island service territory. The companies are going through pre-storm checklists. There are 2,700 employees across the three companies who will be ready to help restore power and assist customers in their communities after the storm has passed and when conditions are safe to do so. More than 500 contractors are also available. The companies are in touch with the Western Regional Mutual Assistance Group and other utility industry organizations that are ready to provide resources if requested. All three companies are taking inventory of fuel supply, checking generators, and ensuring that all equipment inside and outside of our facilities are secure. 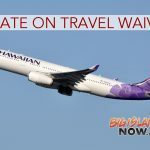 Maui Electric is assigning and pre-positioning workers as needed. Together the companies have more than 500 contractors in place if needed. 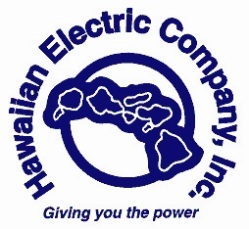 For instance, Hawai‘i Electric Light is contacting and securing contractors for various services such as tree trimming, pole hole digging, electrical, and construction workers. The companies are working with response partners, including civil defense agencies, FEMA and other government entities. The companies are in contact with the Western Regional Mutual Assistance Group, which is comprised of dozens of utilities ready to provide utility workers and equipment as needed. Other utility industry organizations such as the Edison Electric Institute also are on standby to help in areas such as communications, if needed. Prior to storm season HELCO conducts extensive training to prepare employees to respond safely and as quickly as possible if a storm threatens our service territory. The companies have invested more than $1.5 billion over the past seven years to upgrade and reinforce poles, lines and equipment, which will help the utilities recover quicker after a storm. As the storm approaches, customers should review family and business emergency plans, ensure they have supplies they need on hand and keep close watch on the development of the storm system.